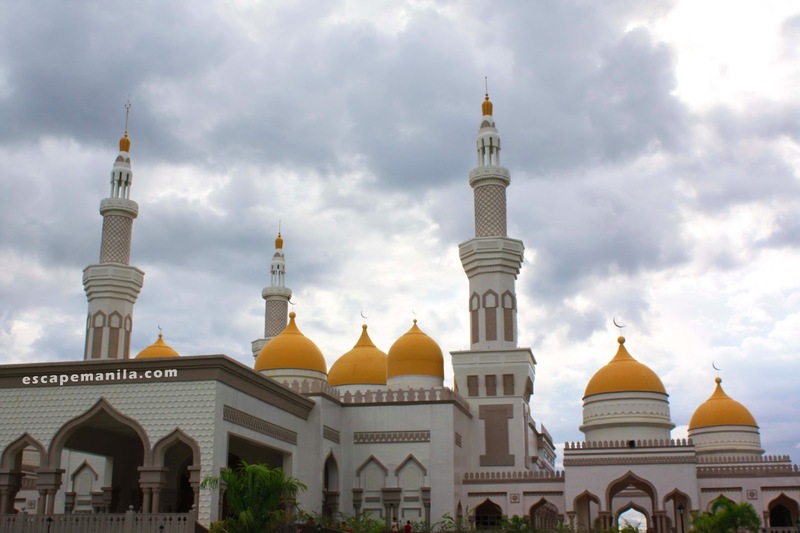 Sultan Hassanal Bolkiah Masjid also known as the Grand Mosque is one of the most popular landmarks in Cotabato City. 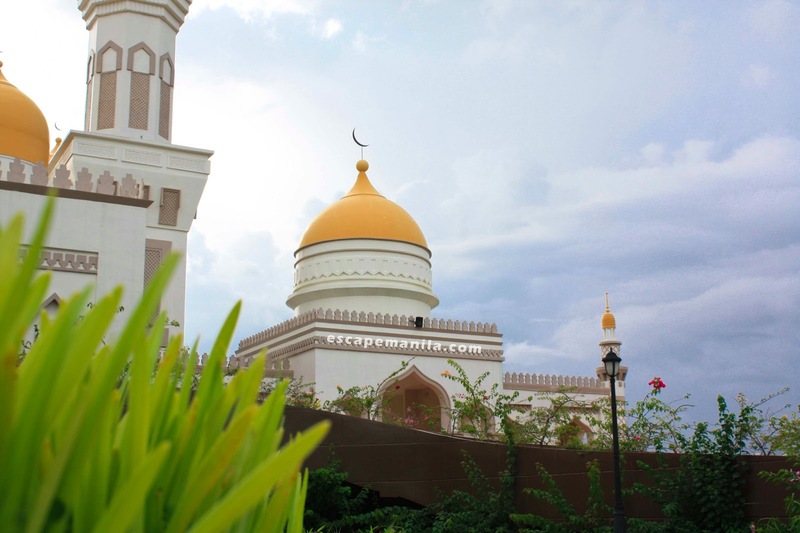 It is the largest mosque in the Philippines which opened in 2011. 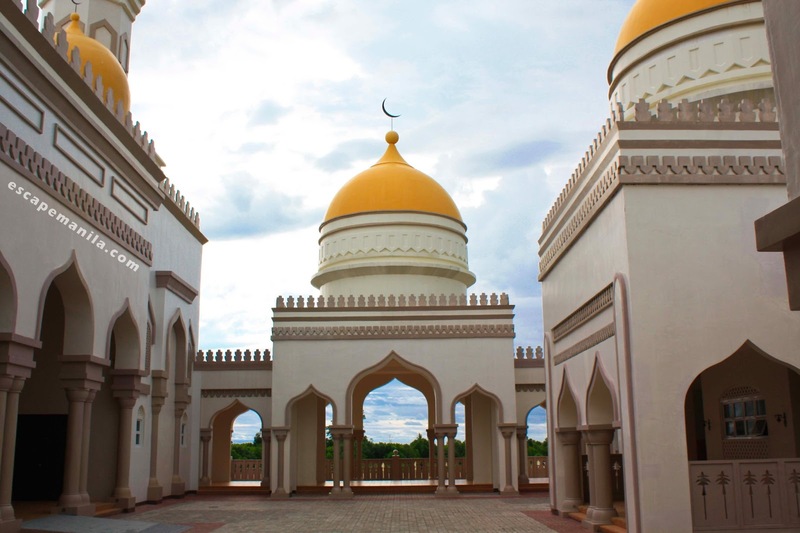 It is a place of worship for our Muslim countrymen and also serve as a tourist destination for travelers visiting Cotabato City. We left General Santos City early in the morning to catch the first trip of the Husky Bus to Cotabato City at 6AM. We do not want to miss it so as early as 4AM, we left the hotel and went to a fast food chain to have some breakfast. At 5AM we were already in the bus terminal to make sure we get a good and comfortable seat. 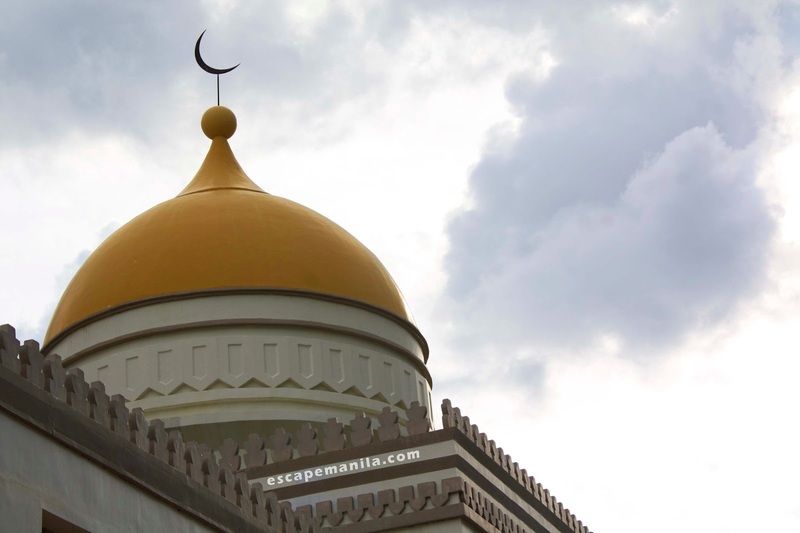 Instead of going straight to Cotabato City we planned of dropping by at the municipality of Datu Saud Ampatuan (DSA) in Maguindanao to visit the Pink Mosque. After a couple of hours in DSA, we took a jeepney going to Cotabato City. It took us about an hour to reach the city and we immediately looked for a place to stay. We were supposed to stay at the Azaleas Pension House but when we saw their room it was not appealing. It looks old and looked like a hospital rather than a pension house. The price was not right for their rooms. After few minutes, we were able to find a decent place to stay at El Manuel Hotel. The room was okay but still overpriced. Ramil has already touched base with the ARMM DOT Assistant Secretary Bai Shalimar Candao, so we paid a visit to her office. She discussed the ongoing and upcoming events of the ARMM tourism office and the challenges they are currently facing in terms of tourism in the region. She also arranged for our visit to the Inaul Weaving Center the next day. Instead of commuting going to the grand mosque, we decided to charter a multi-cab. We were supposed to pay P300 since it was just a short visit but we ended up paying P400 as the driver was nice to us and he granted our request to be dropped at the trade fair center inside the Office of the Regional Governor (ORG). I was fascinated by the architecture of the mosque. It reminds me of the big mosques I’ve seen in the Middle East. Definitely worth a visit. 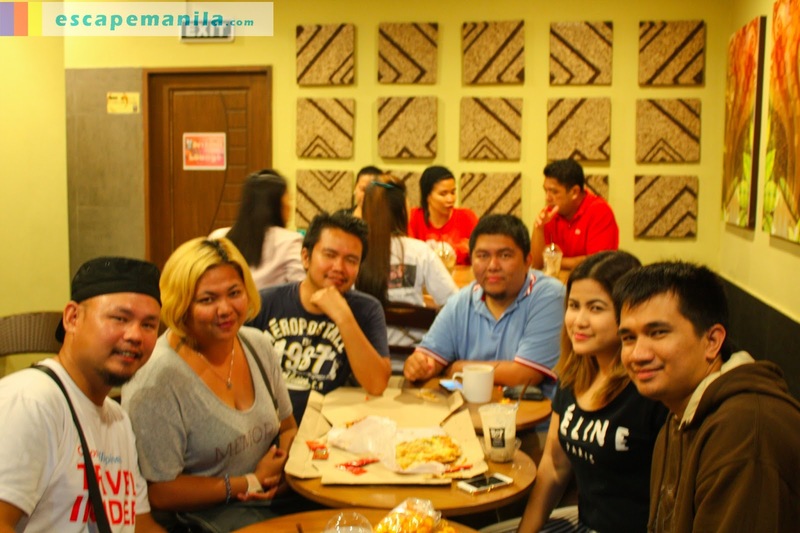 Thank you to Ms. Cris Batuampar and Ms. Dulce for accompanying us. It was nice meeting both of you. We were invited by ASec. Bai Shalimar Candao to visit the trade fair they are hosting so we decided to have our dinner there. 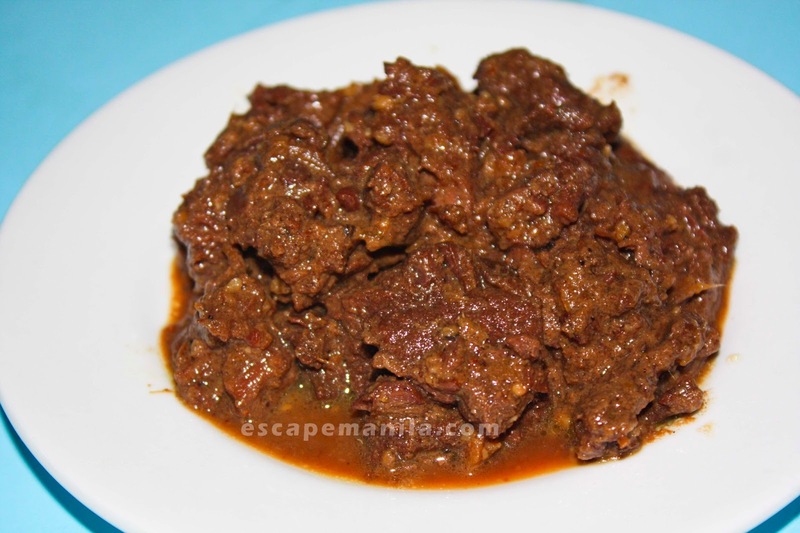 We ordered the famous Maguindanaoan dish called Beef Sinina and the equally famous Maranao dish called Beef Rendang. They were both delicious and we ate them with gusto. After dinner, ASec Bai Shalimar Candao handed us some local delicacies as pasalubong. Thank you ASec for your warm welcome and for accommodating us. Sheen (Shugah’s friend) and her boyfriend Alex picked us up at the trade fair and went to Alnor Complex to have some coffee. I am very glad I met these two awesome new friends. They were so nice and kind. I am looking forwrd to seeing them again in the future. After coffee, Alex drove us for a short road trip around the city. It was such an amazing journey to see the city at night. Again, thank you Sheen and Alex for a wonderful night. How to Go to the Grand Mosque? The most convenient way is to rent a multi-cab (P300-P400) to bring you to the grand mosque and back to the city proper. 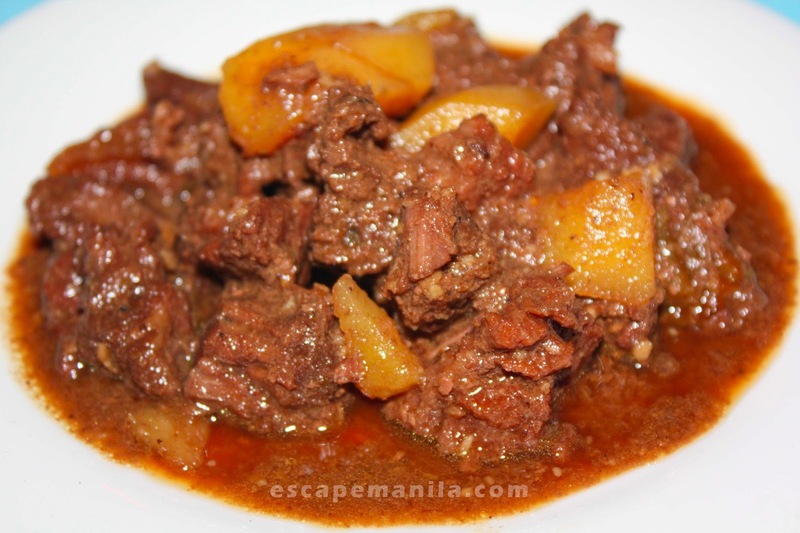 But if you want to commute, you can take a jeepney (P8) bound to Awang and just tell the driver to drop you at the junction going to the mosque and then ride a habal-habal for P30 one-way.